The hand is one of our most important and most complex body parts. A perfect interplay of numerous nerves, tendons, muscles and bones makes it a unique, natural precision instrument. Recreating as many of these numerous functions as possible in a prosthesis is one of the greatest challenges for medical technology. The Michelangelo Hand and the Axon-Bus system are milestones on the path to perfection. With many degrees of freedom, they restore numerous hand functions for the user. The Michelangelo® Hand offers entirely new gripping kinematics and a variety of new functions which support the user in everyday activities. 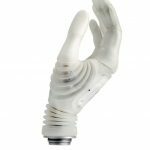 The Michelangelo® Hand features complex gripping kinematics, a natural, anatomical appearance and low weight. 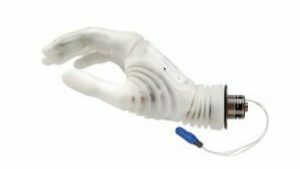 It features a main drive responsible for gripping movements, soft fingertips, a separately moving thumb, and a flexible wrist joint. 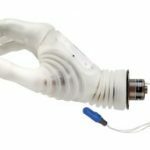 The Michelangelo® Hand constitutes a milestone in prosthetic fittings. Thanks to its special product characteristics, it offers fundamentally new application possibilities for the user, supporting incredible freedom of movement for everyday life.